When it comes to natural disasters, Haiti is the fifth most vulnerable country in the world — and third least able to cope. Yet since the earthquake of 2010, Haitians have been repeatedly tested, most recently by October’s 5.8 earthquake. In 2016, Hurricane Matthew killed at least 1,000 people, leaving 600,000 children in need of humanitarian assistance and the nation’s limited safe water supply polluted, setting off a cholera epidemic. Nearly two years later, the UN Office for the Coordination of Humanitarian Affairs estimated that due to low agricultural productivity compounded by the natural disasters Haiti has experienced, the nation produces only 45% of the food people need. An estimated 982,000 people face severe food insecurity; 75% of the rural population lives in poverty. The departure of some aid organizations has complicated families' efforts to continue rebuilding their lives and meet their health care needs. The ongoing deprivation has left over 1.1 million children in need of aid, with significant numbers abandoned by parents who are unable to provide even the most basic care and protection. 12-year-old Rosemaine Jean knows far more about cholera than any child should, since her 13-year-old brother, Alexis, came down with the waterborne disease. "He washed his hands with dirty water, and then ate," she explains. During a weeklong stay in a medical clinic, Alexis nearly died. After watching him suffer, Rosemaine took it upon herself to learn how to treat her family's well water with UNICEF-provided purification tablets so she could wash their water jugs, food and clothes. Keeping herself and her 10 siblings disease-free is a chore Rosemaine relishes. 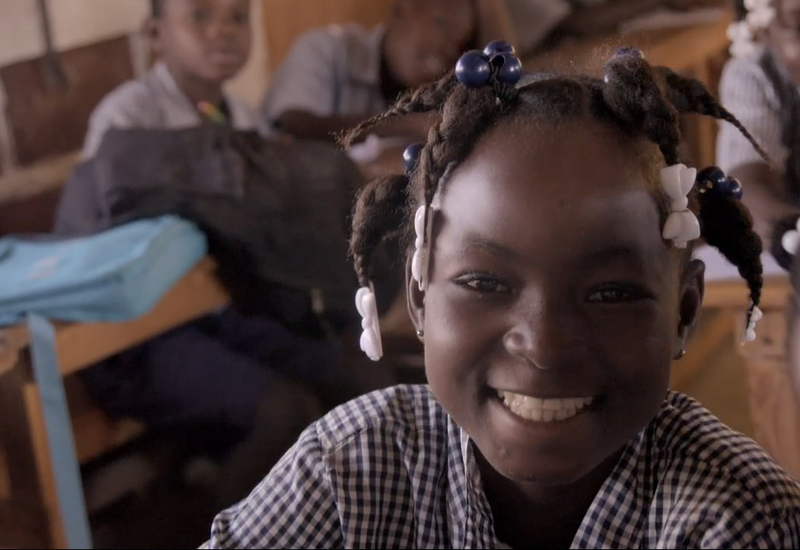 It’s also helped shape her future plans: "I'd like to become a nurse after I finish school." When Hurricane Matthew passed over Haiti in early October 2016, it devastated entire neighborhoods and destroyed livelihoods. 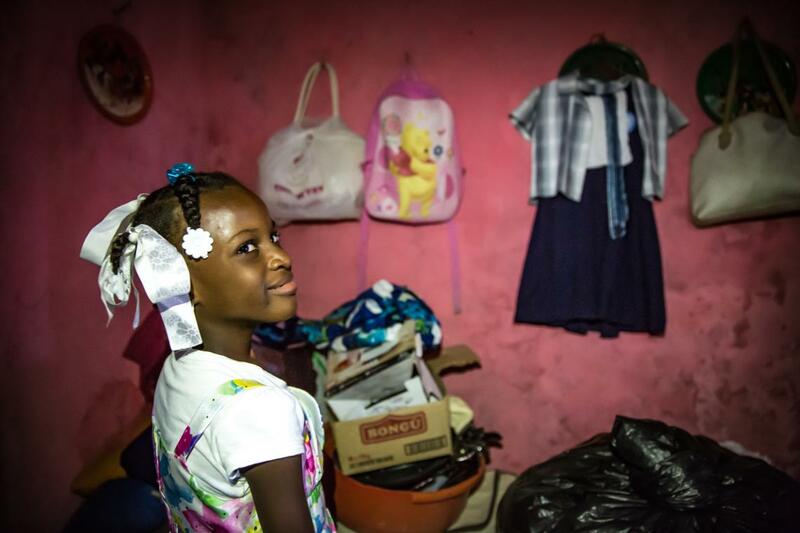 Eight-year-old Loudina was orphaned by the hurricane. "I miss my mom. She took good care of us," she says. "The wind came and a house fell on top of her.” Loudina and all her siblings go to a UNICEF Child-Friendly Space set up after the hurricane. UNICEF Child-Friendly Spaces provide children with a safe environment to receive counseling, learn, play and heal after disasters. UNICEF and partners are working tirelessly all over the world to save and protect children. With a presence in 190 countries, UNICEF has helped save more children’s lives than any other humanitarian organization in the world.